Boxycharm Review - Pros and Cons of Boxycharm Beauty Subscription Service! Recently I had the opportunity to try out the new monthly beauty subscription service, Boxycharm! For $21/month or $60/3 months, you will receive a beautifully crafted box with 5-7 beauty items; at least 4 items will be FULL SIZE. Before subscribing, you will be able to complete a beauty profile and choose a plan that best suits your beauty needs. Boxycharm contains the best hair products, hottest cosmetic picks and latest nail trends. Well before hitting that "subscribe" button, read on to see some pros and cons to this new service, and my personal thoughts. In all honesty, I was a bit confused by this subscription service. While I was excited to see recognizable drugstore cosmetic brands, I was not pleased to see that a few of the items I was sent were either discontinued or out of stock at retailers. Many people purchase these monthly boxes to try out new products, and possibly purchase them again in the future. BUT if you were to fall in love with a product from this particular box, there's a good chance it will be discontinued and you will not be able to purchase another when you run out; a definite con. Of course when dealing with discontinued products, there's also the concern you might be receiving makeup that has already expired, which makes me a bit leary as well. I did do some research on the products I received in this Boxycharm and found many of their current retail prices, which I listed above. The box's total value came to approximately $41.07, nearly double the monthly subscription fee of $21. So this box IS in fact a deal. Now, whether or not you want to spend this amount of money on drugstore makeup each month is up to you. I think I would personally enjoy picking out my own favorites at the drugstore for this price. Time for fun in the sun and big changes in our beauty, fashion and hair regimens. I always love to see what you beauties are using and wearing each season, so I decided I wanted to share my Favorite Summer products with you all! I'm literally OBSESSED with these products, and I use many of them everyday! 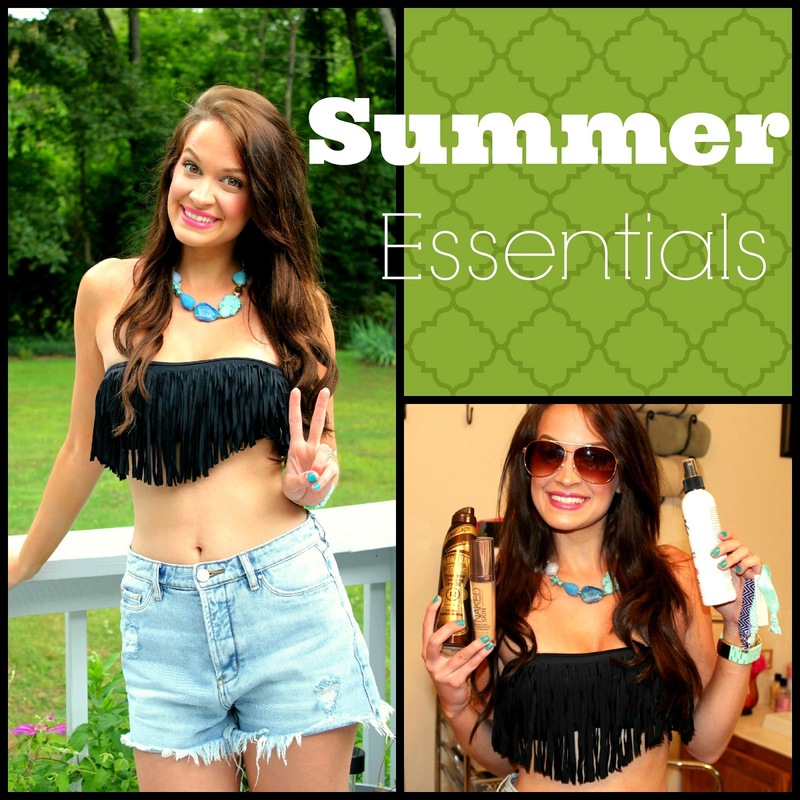 YOU CAN ALSO SEE ALL OF "MY SUMMER MUST HAVES: DRUGSTORE MAKEUP, FASHION, SELF TANNERS + MORE"